Continuing with the theme, here's another double breasted German leather jacket with a diagonal zipper on the chest. 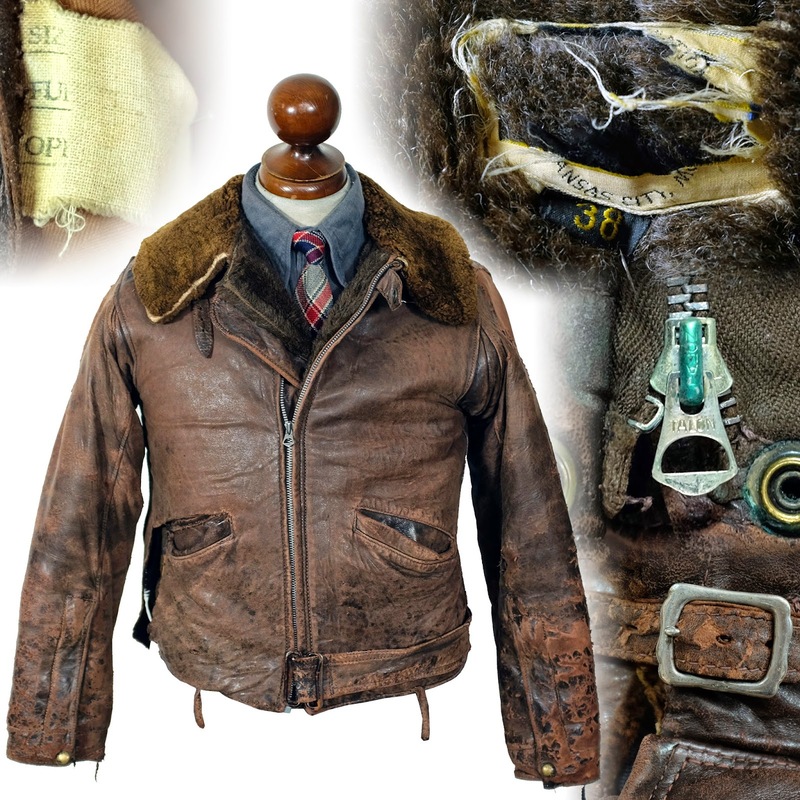 This vintage leather jacket was made in Germany the late 1940s - early 1950s. The label is worn but looks like it reads Rostra . It is double breasted, with scalloped yokes front and back, loop closures for the leather buttons, belted cuffs, scalloped handwarmer pocket flaps and a zipper pocket on the chest. The pocket has a Zipp Zipper, marked DRP Nurnberg on the back The jacket has a removable wool plaid lining, which is removable by means of PRYM snaps.